2014.08.29-31 (PL) Późna - XIII. Meeting of CzW owners & & XI. Hoky's Memorial | Breeding high quality Czechoslovakian Wolfdogs for work and shows. In 3 months comes end of August - that means it's time for Meeting in Pozna. Like every year we expect arrival of CzW owners from Poland, Czech Republic, Slovakia, Germany, Russia, Lithuania and Holland... Again you will have a chance to meet breeders, owners and experts of the breed and training.. This is the only such chance in Poland to see so many wolfdogs at one place.. and to talk in peace what is uncommon on dog shows. 10:30 Start of the competition "Hoky's Memorial"
Already XI. edition of the competition organized in memory of Hoky z Molu Es, who died here in 2003. There will be traditional disciplines, which we will change a little bit in comparison to the previous edition. Competitions are divided in two groups - for beginners and older dogs. The basis is a good socialization and basic obedience. Disciplines 1-3. and 6-7. maximum of 10 points. Discipline Hoky maximum of 15 points. Case of the same number of points: decisive will be the number of points in the Hoky's disciplines Hoky; possibly time. Interested visitors, who came here without a dog, dogs can be borrowed! By puppies (by the youth presentation) the judge is trying to assess the future value of the puppy - the owner gets an accurate and very detailed description of the dog with the overall assessment (very promising, promising, less promising). By adult dogs (during the bonitation) assessment is much more accurate - the dog is measured, all its disadvantages(and advantages) are listed. The second part is a test character - a reaction to the shots and attack. The Lithuanian grading there is no(!) "P" code - nobody evaluates the dog with a note, because in the most cases "P" has nothing to do with the real value of the dog = a perfect dog with one, and only one disadvantage gets usually in the origin countries a lot worser note than a dog which is below the average (has nothing good, but also nothing wrong). 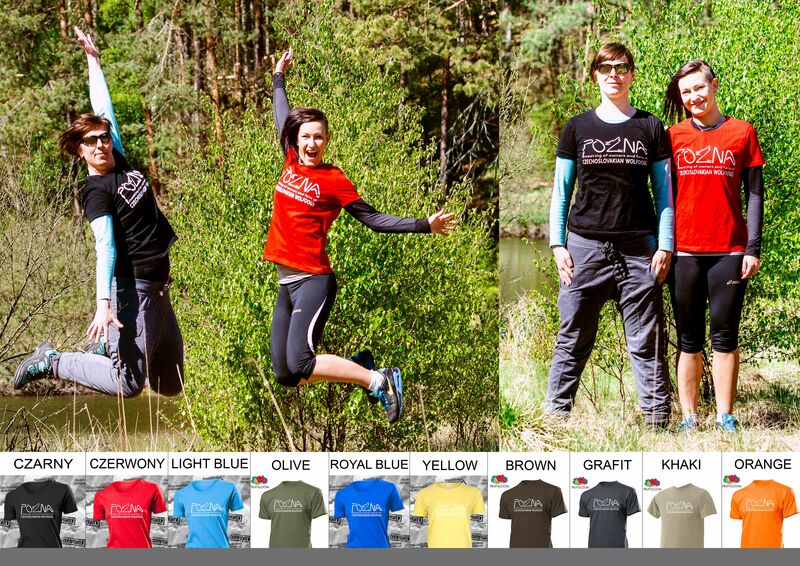 Późna is very hard to find... So I have included here help how to reach us. 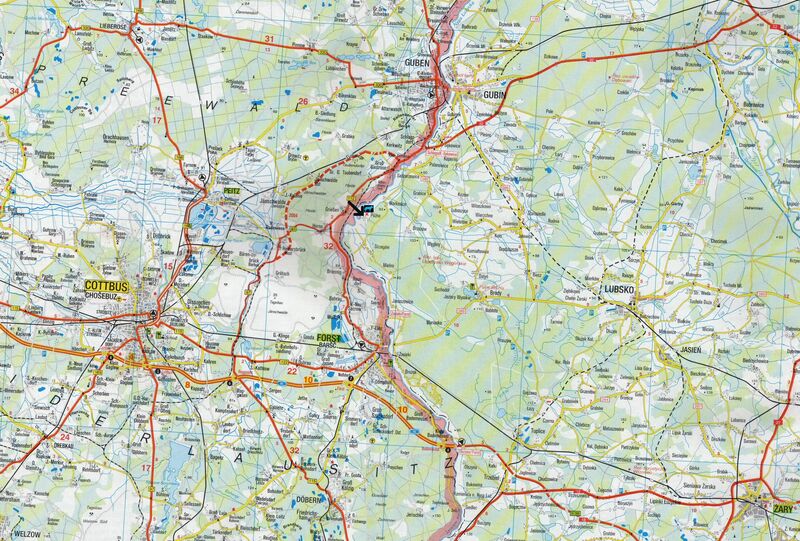 It looks quite complicated but the way is pretty simple: if you go the direction from Zielona Góra please take direction on Slubice, before Krosno Odrzanskie turn to Guben (border pass in Gubinek), that means go newly built road straight towards Germany, practically to the very border. Approx. 500 meters before the pass (behind first petrol station) turn left. If you go from Germany after you cross the border (approx. 500 meters after the pass) turn right on the first crossing. And then straight (approx. 10km). Be watchful behind the "Markosice" village – by "sharp left turn" sign there will be asphalt-driveway to the woods. This is the road to our seat (good eye will notice a bust stop hidden between the trees and a road sign "Pozna 1"). For this year's meeting the girls prepared fantastic T-shirts.